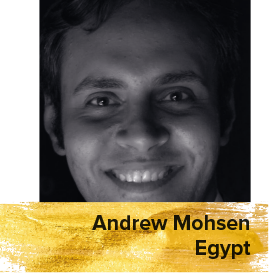 An Egyptian film critic who writes for several press outlets like Filfan.com and Al-Maqal newspaper. Naiem is also a member of the Film Watch and General Coordinator of the Cairo International Film Festival. 2018 ARAB CINEMA CENTER ALL RIGHTS RESERVED.